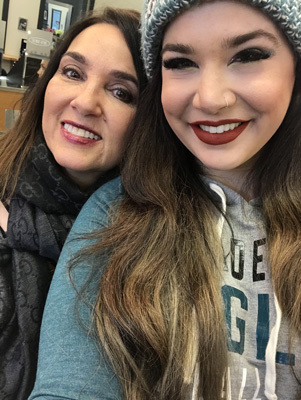 Our MyTopFace beauty expert was visiting Philadelphia and was excited to have the chance to stop in and visit Makeup Bar. Located in Cherry Hill New Jersey, right outside of Philadelphia. This salon specializes in eyebrow shaping, facials and so much more. We sat down with the owner of the salon Lisa Severino for a facial and a quick makeup application. We also took the opportunity to speak her about beauty and her beautiful business! MyTopFace Beauty Expert: Tell us, what inspired you to open Makeup Bar? Lisa: I worked for Revlon specialty store division, represented lines such as Lancaster, Alexandra DeMarkoff, and Princess Marcella Borghese. I was the account coordinator in Macy’s stores in the New York / New Jersey territory. And then, worked as a cosmetic floor manager in Cherry Hill, N.J. I also freelanced as a make-up artist for many cosmetic companies. These experiences led me to the idea and passion to own and operate a boutique/salon specializing in make-up, retail, waxing, and esthetics. My vision was that a more intimate atmosphere and trendier make up lines like Urban Decay, Two Face and Tony and Tina cosmetics would be appealing to clients. I opened the Make Up Bar in 2000!! I developed my own technique for eyebrow shaping, performed makeup application and sold the boutique cosmetics that I carried at the MakeUp Bar. MyTopFace Beauty Expert: What is the most rewarding part of your job? Lisa: It is very rewarding having a huge following of clients. It is great to know that I can make so many people happy with my craft and experience. 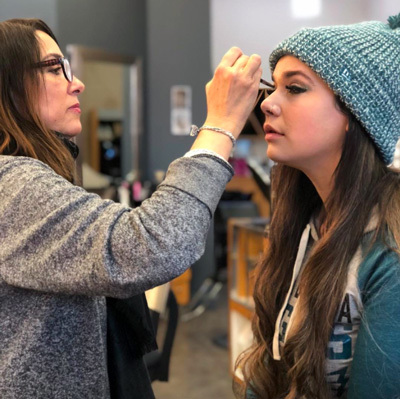 One of the most satisfying aspects of owning a business are the times when the entire salon is busy and the whole team of stylists and makeup artists are working together, sending out clients that look amazing!!! MyTopFace Beauty Expert: Would you give our readers a few beauty tips, that might have taken you a long time to learn? Maybe something you would tell your younger self! Lisa: It takes a while to get a really effective, balanced skin care routine in place because if you try a slew of new products all at once you can’t really tell what’s working. I recommend starting with an exfoliating cleanser 3 times a week alternating with a soothing, hydrating cleanser. Add products like peptide, eye cream, and hydrating moisturizer to your routine slowly to monitor results. 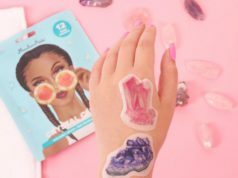 MyTopFace Beauty Expert: What are some of your favorite products right now? Lisa: My favorite skincare products are Jan Marini glycolic cleanser and Peptide extreme and Osea ocean milk cleanser, Osea Eyes and Lip eye cream and Emboylisse Creme Lait moisturizer. Last but definitely NOT least is my “Blend” by the MakeUp Bar custom blended foundation which is organic and contains Aloe, Vitamin E, and rosemary leaf extract!!! MyTopFace Beauty Expert: What is an upcoming trend in the industry that you are excited about? Lisa: An upcoming trend that I am excited about is the “farm to face” skincare and makeup! This is a trend where skincare and cosmetic companies are farming their own organic ingredients! These products are delivered in the most cutting-edge packaging to keep product shelf life up to par. Our Detox facial was simply a great treat for our skin. Lisa was careful to explain every step in our process! We had an exfoliating mask, deep cleansing mask and a careful extraction to leave our skin smoother and blemish free. We can’t say enough about the precision and care Lisa took when performing our extractions. She was so thorough and made sure to really cleanse our pores. We told Lisa we were hoping were focus on brightening and she did just that. We could clearly see our skin had a fresh glow. In the days following her application, we continued to see improved results in the days to come. Our pore size remained diminished and our makeup had a much easier application. 3 days after our facial our skin quality is still improving due to her amazing attention to detail. Our MyTopFace Beauty expert hasn’t even had to wear as much makeup as her normal which is only a testament to Lisa’s skill level. Lisa then had a bit of fun with our makeup application! 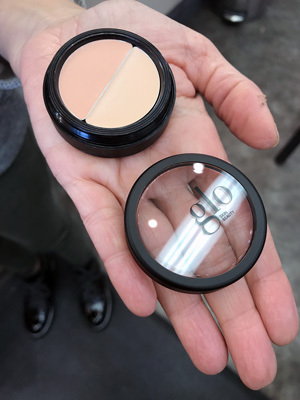 At Makeup Bar Salon, Lisa has customized her own blend of foundations and powders that she blends individually for each client so that they have the perfect match for their skin tone. She has perfected a formula with buildable coverage so that the applicator can control the product very easily. On top of this, she used a glo concealer which had a very nice consistency and applied well! Lisa then applied a fun super bowl sparkly smoky eye and we were off looking glam. Totally fun for the big game party we were on our way to attend! Overall the experience and energy at the salon were truly great. We can see why Lisa has a huge following of loyal clients. Her expertise and deep seeded industry knowledge make for a big city experience in a small town. The salon itself is beautiful in design and makes you feel right at home. Another point of note is that Makeup Bar has a full team of beauty experts ready to glam you up. Hair, makeup, skincare… they do it all! Lisa makes sure to only hire experts in each area of practice so that every client gets the best experience and care. As an aesthetician, Lisa customizes every treatment to the clients’ skin needs and is an expert at understanding what can best affect positive change in their skin. She is also lovely and wonderful to speak to, we really enjoyed the time we got to spend with her. She is a true professional that makes you feel right at home! If you are located in Cherry Hill, the Philadelphia area or are able to visit we would highly recommend stopping in!